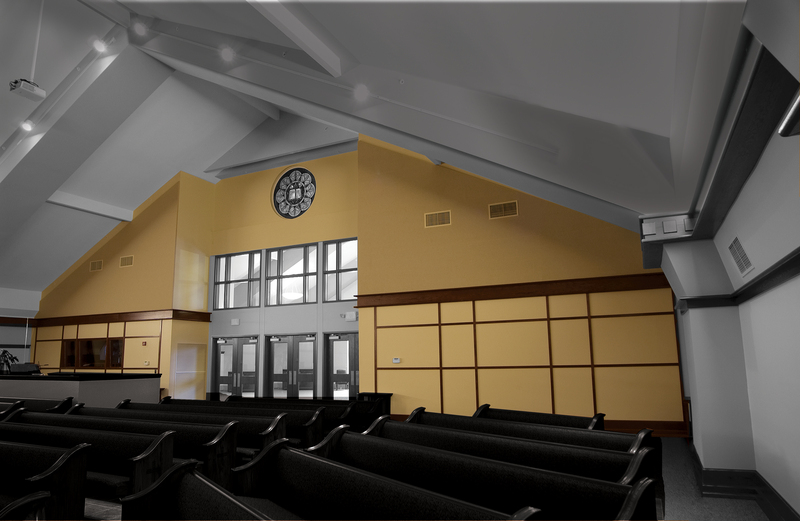 An example of an Auralex® ELiTE Custom Fabric System™ (ELiTE-CFS™) installation in a church. 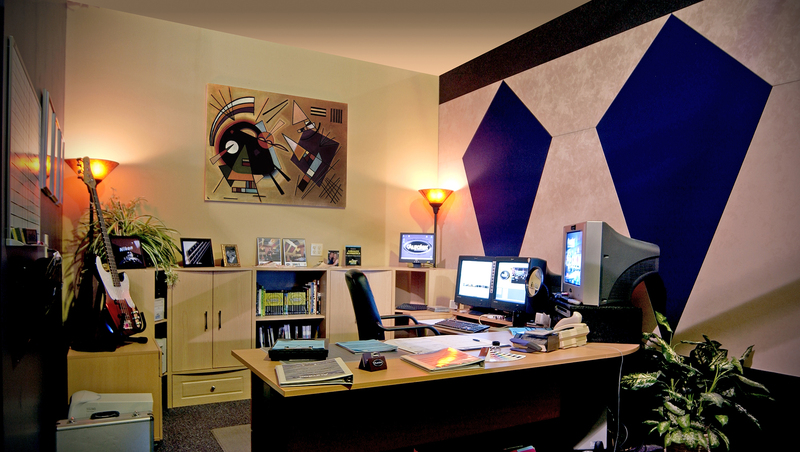 An example of an Auralex® ELiTE Custom Fabric System™ (ELiTE-CFS™) installation in an office space. An example of an Auralex® ELiTE Custom Fabric System™ (ELiTE-CFS™) installation in a conference room. 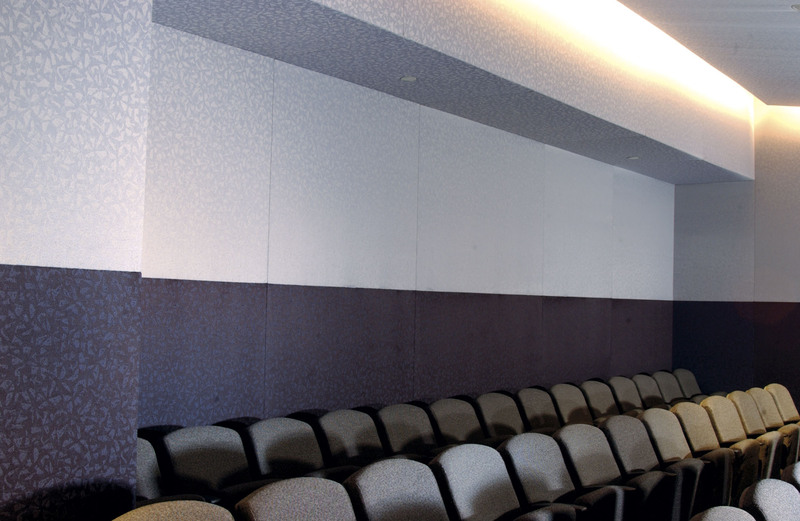 An example of an Auralex® ELiTE Custom Fabric System™ (ELiTE-CFS™) installation in a theater space. INDIANAPOLIS, IN, JULY 15, 2013 – Auralex® Acoustics, Inc., the world’s leading brand of acoustical treatments and currently celebrating its 35th anniversary, offers its ELiTE Custom Fabric System™ (ELiTE-CFS™). ELiTE-CFS (ELiTE stands for Engineered Listening & Theater Environment™) is Auralex's proprietary, fully engineered turnkey acoustical treatment system, fully individualized per a project’s needs. Each installation is custom-designed by Auralex’s expert engineers, then installed and fabricated onsite by authorized, experienced craftsmen. Auralex coordinates all pre-installation details, thus minimizing the disruption of other contractors and ensuring the job is completed on schedule. Utilizing a patented retention channel and custom installation process, an ELiTE-CFS installation will turn any room into a completely immersive and dynamic listening environment. The finished look of an ELiTE CFS system is a smooth fabric surface with all the acoustical materials hidden behind the system's elegant facing. The treatments include an engineered combination of absorption, diffusion, reflection, and bass trapping (features not available by most other competing systems). The Auralex engineering staff, based on physical room modeling and potential on-site visits, carefully diagrams the exact layout and placement of these treatments. Photo Caption 1: An example of an Auralex® ELiTE Custom Fabric System™ (ELiTE-CFS™) installation in a church. Photo Caption 2: An example of an Auralex® ELiTE Custom Fabric System™ (ELiTE-CFS™) installation in an office space. 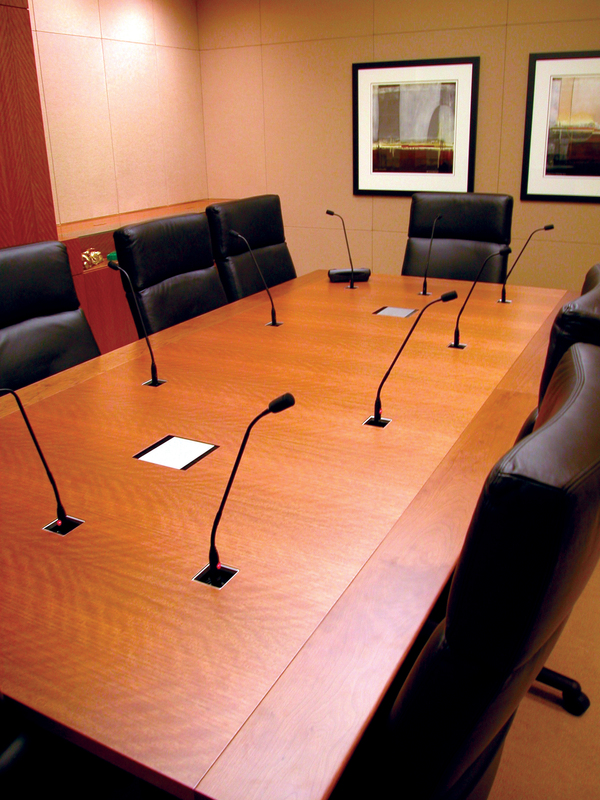 Photo Caption 3: An example of an Auralex® ELiTE Custom Fabric System™ (ELiTE-CFS™) installation in a conference room. Photo Caption 4: An example of an Auralex® ELiTE Custom Fabric System™ (ELiTE-CFS™) installation in a theater space.